This chapter is the key chapter of the book. It is in this chapter that I try to outline a vision of transition from politics as we know to a politics of Ihsan. In this chapter, I offer an alternate way of thinking about Islam’s role in politics, especially distinct from that of Islamists and Jihadis. 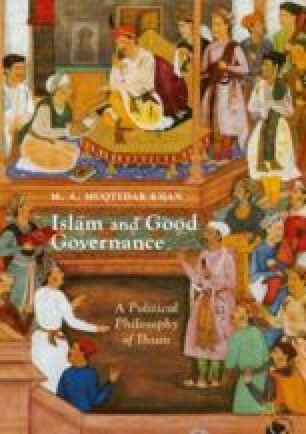 The book critiques the focus of Islamic political thought on structure and law and instead argues that perhaps a focus on process will yield more benefits for society. Advocates of Islam are seeking power to “implement shariah” and in the process are either leaning toward autocracy or making ethical compromises to accommodate democracy. In either case, the cause of the normative principles is lost. This chapter argues that rather than seeking power, advocates of Islam should seek to bring Ihsan into society. Muslims should focus on the process of governance, make it inclusionary one that privileges ethical and normative elements of Islam. And by permitting political criticism and activism, keep the social conscience of the soceity alive. This chapter will lay out the Islamic principles that encourage good governance and politics in pursuit of goodness. It imagines a State of Ihsan and a society of Muhsins (those who practice Ihsan).